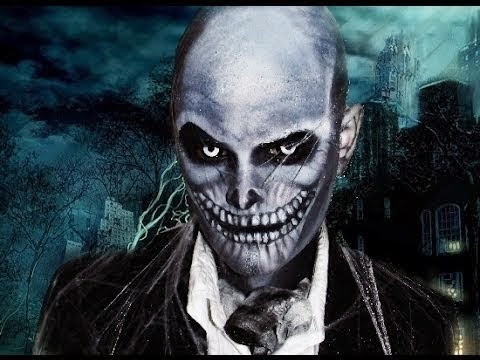 Haunted Mansion Hat Box Ghost Makeup Tutorial that looks absolutely awesome! Here is a simple video that shows you how to do grayscale makeup, a perfect base for a ghost costume! Create a creepy ghost look with this makeup tutorial for the scary old lady from Insidious! Here is another great simple makeup tutorial for a pale, creepy ghost (plus some rad contacts)! I love how the makeup came out for this Victorian-inspired ghost costume!